It’s time for another giveaway! We have two packets of books for two lucky readers with mailing addresses in the US or Canada. The first packet is for the aspiring metalsmith looking to learn some new skills for jewelry making as well as tips for how to start his or her own jewelry line! 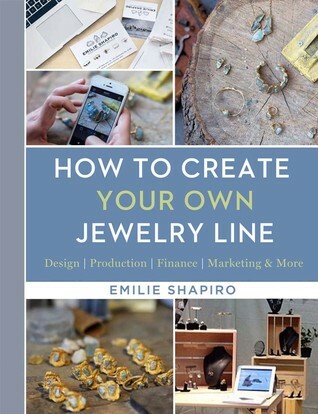 The books included in this packet are How to Create Your Own Jewelry Line by Emilie Shapiro, Metal Jewelry Made Easy by Jan Loney, and Making Metal Jewelry by Joanna Gollberg. The second packet is for the avid beader. The books included are Beading All-Stars: 20 Jewelry Projects from Your Favorite Designers, Seed Bead Chic by Amy Katz, and Earringology by Candie Cooper. To enter for both giveaways, simply comment below and tell us about some of your favorite jewelry designers! Winners will be selected randomly on February 17th!